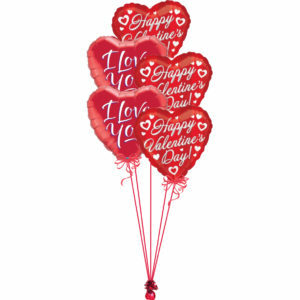 Created with five solid colour foil heart balloons. 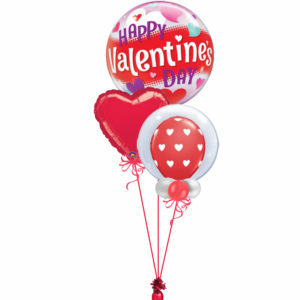 Simply fill in the details above & we’ll guarantee these hugely popular balloon bouquets arrive on-time, inflated & attached to one of our impressive foil balloon weights and wrapped in one of our very own impressive gift boxes. 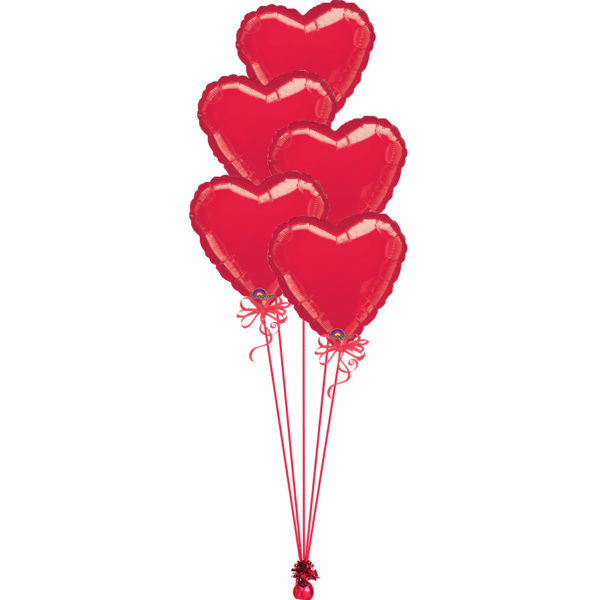 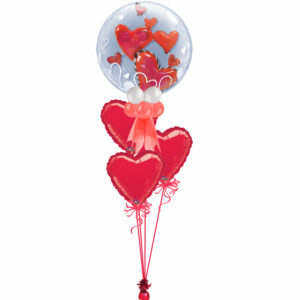 Each solid colour foil heart balloon is 18″ in size. 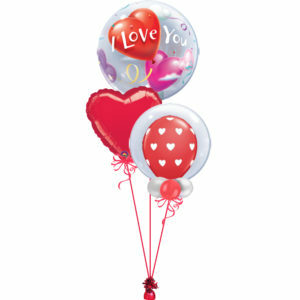 All balloons are attached to matching ribbon and then to a weight, as seen in the image.